Exhibition EventGet-a-Gogeta Campaign On the Way! 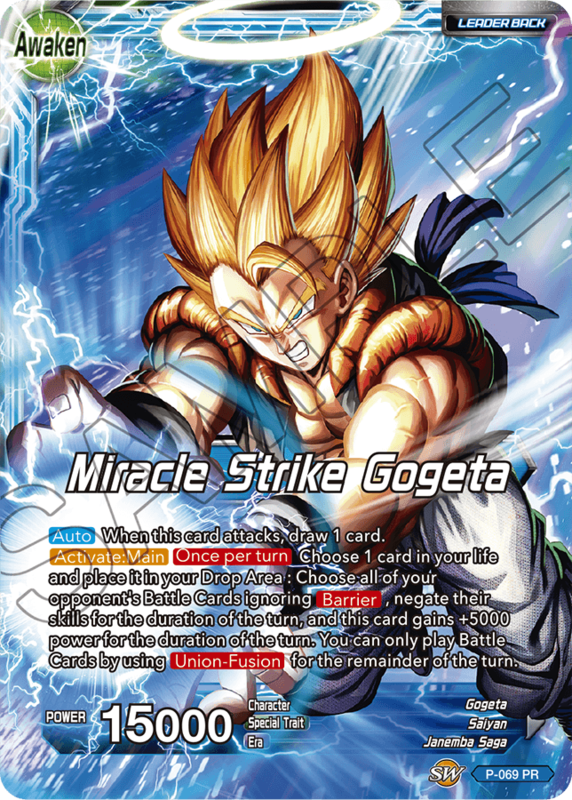 you get “P-069 Miracle Strike Gogeta” as a special bonus! These have been distributed during an event in North American movie theaters called the "Dragon Ball Double Feature Event". *Event details may change without notice. *Campaign will end when Promos run out.